To supplement our Annual Fund Drive, UUCSC holds a variety of fundraisers throughout the year. It’s easy to participate! Simply click this link to get started creating your own fundraising page and message. Click the green button to “Become a Fundraiser.” Create your profile and express your thoughts about what UUCSC has meant to you. Then you can share it by posting on Facebook and sending the link via email to your friends and family, inviting them to make small donations of $5 – $20. Our objective is for 75 of our members and friends to each raise $75 toward a goal of $5,000. This will contribute to the overall fundraising at our October 6th Gala. 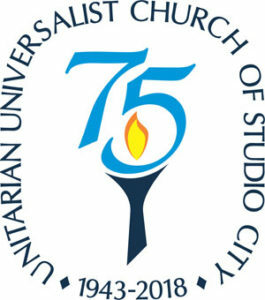 Thank you for sharing the good news of our 75 years of liberal religion in Los Angeles!